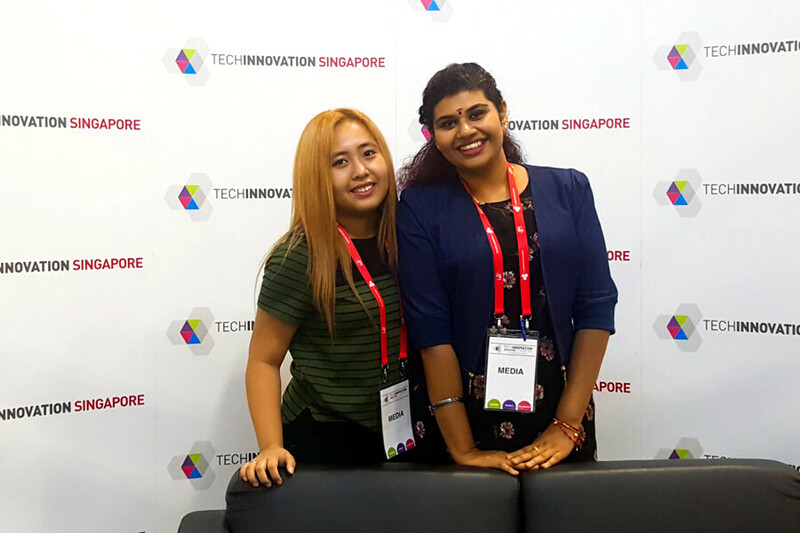 It has been a busy month for TMC Academy IPRS (Institute of Public Relations of Singapore) Student Chapter members, as they attended a series of events and industry visits, with the highlight being TechInnovation 2017, held on 19th and 20th Sept at the Marina Bay Sands Expo and Convention Centre. Martin from “Innovation is everywhere” Agency, interviewing Mr Augustus Alesiunas, CEO of Food Sniffer. 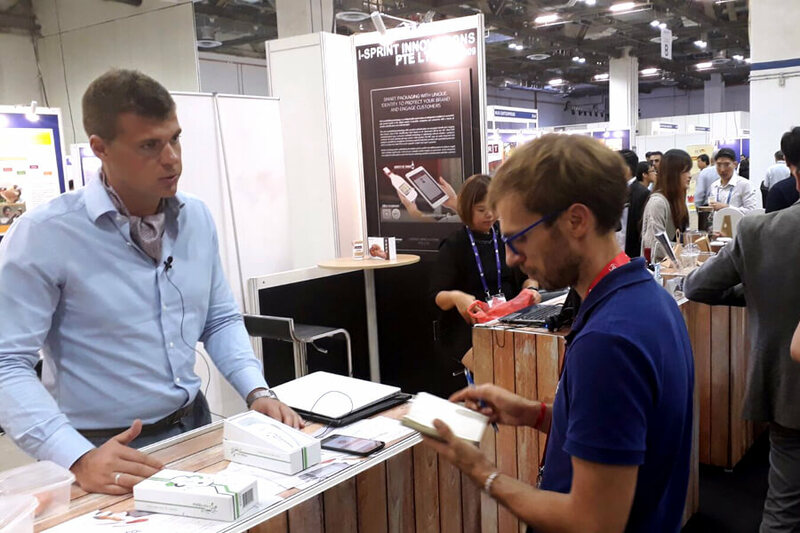 Martin, from “Innovation is everywhere” Agency, interviewing Marco Vitale, CEO of Foodchain. 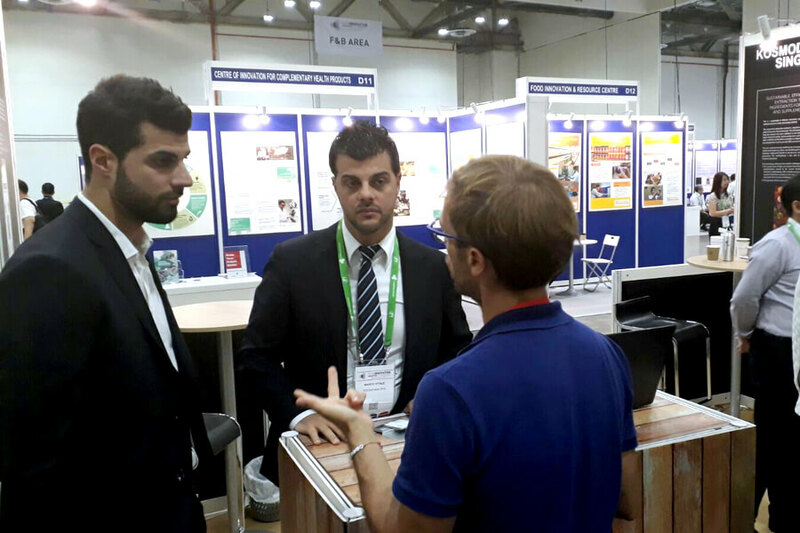 TechInnovation is a premier technology-industry brokerage event organised by Intellectual Property Intermediary (IPI) Singapore. It brings together international and Singapore technology providers and seekers to explore technology and business collaboration opportunities through open innovation. 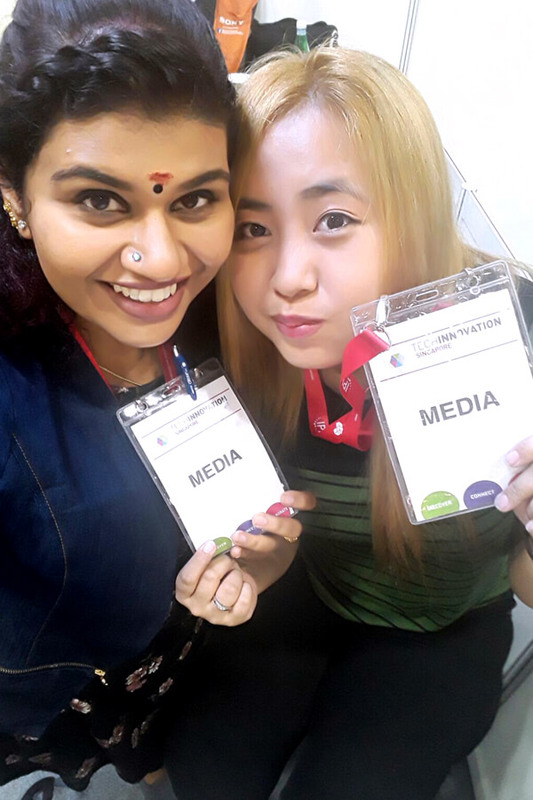 Student president of IPRS Student Chapter, Lalethaa KS and School of Infocomm Technology student, Sophia, were assigned roles to assist the media personnel during the event. Working alongside Pinpoint PR Agency, the students helped to prepare the delegates for their media interviews. As I’m from a business background, learning how a PR agency works from the backstage was an eye-opener and definitely a challenging but great experience. 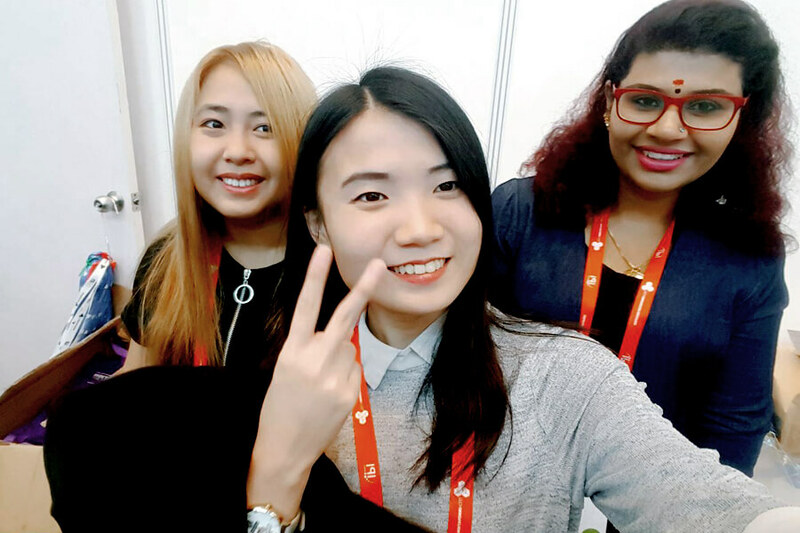 Fellow student, Sophia, who studies Higher Diploma in Infocomm Technology at TMC Academy, got the chance to learn about the latest trends in the IT industry and meet the industry experts. In the meanwhile, she also had the opportunity to hone her communication and people skills, a definite important life skill. Day 1 – Sophia and Lalethaa. After a busy day! Day 2 TechInnovation – Selfie before busy day! At TMC Academy, our strong partnerships with associations like IPRS (Institute of Public Relations of Singapore), SCS (Singapore Computer Society) and SPS (Singapore Psychological Society) provides students with ample opportunities to learn and work with industry people, which proves to be a valuable experience. We also encourage students to participate in cross disciplinary activities, so as to widen their perspective. Like the wholesome education TMC Academy offers? Email us to find out more about our courses.